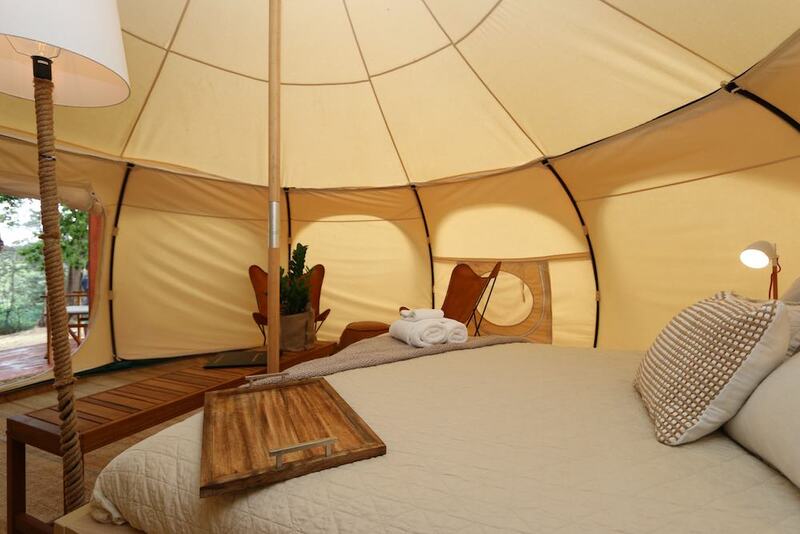 Dominion Hill is offering glamping, sometimes called comfortable camping, for guests who want to be closer to nature. 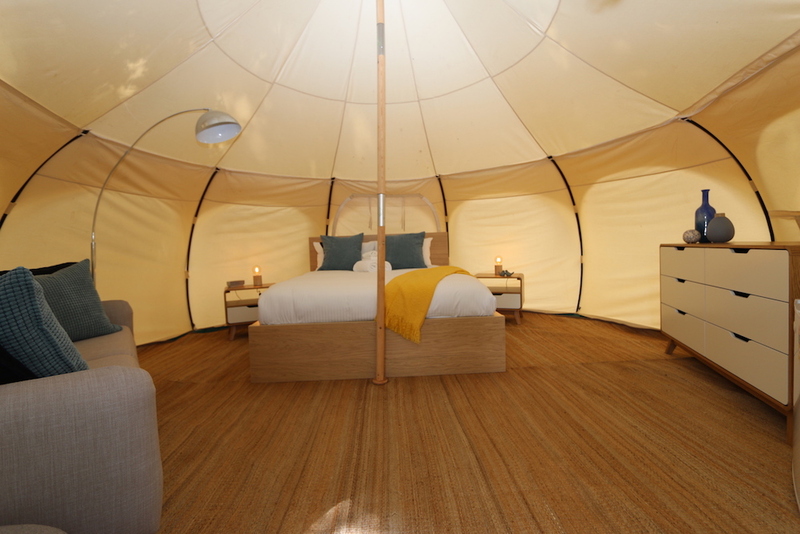 Our large glamping bell tents have queen sized beds with soft mattresses and quality sheets, antique furniture, fans, electric lights and even wifi. There is a veranda with outdoor chairs and a small enclosure with a portable toilet. A short walk takes you to the Wellness Centre which has full bathrooms with a shower or tub. Our hot tub under the stars is also close by. 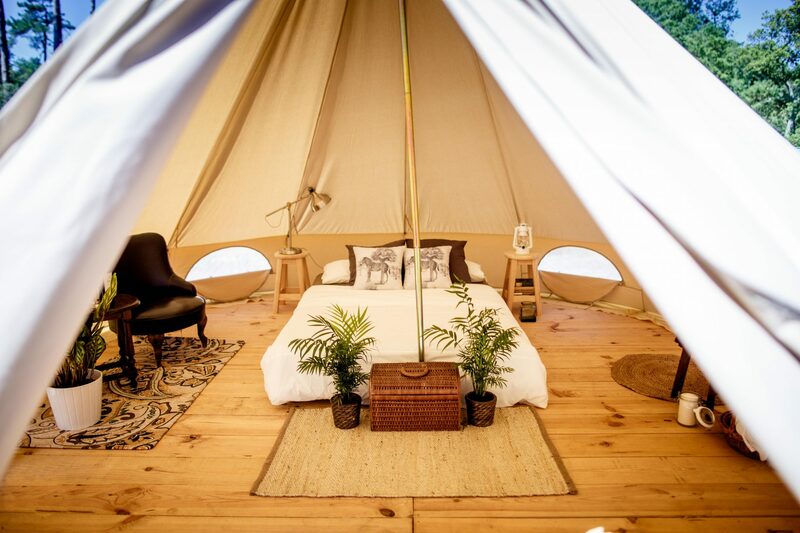 Glamping is a far cry from the days of camping on air mattresses with sleeping bags! Our glamping guests have full access to the amenities and are welcome for breakfast in the Manor House restaurant. Dinner can be ordered in our restaurant. We have mountain bikes and walking trails for those who want to explore nature and the nearby Digdeguash tidal bay and waterfall. Glamping is often considered a very new concept because the word was only added to the dictionary in 2016. However, historical records and paintings reveal its popularity among the English upper class of the 1500s. On one occasion the king and a few hundred friends erected more than a thousand tents for a summer holiday of “glamping”, furnishing the compound with beds, tables and chairs and oriental carpets from their castles. African safaris brought an unprecedented luxury to camping in the early 1920s.